Gentile Pasta Factory, founded in 1876, is one of the historic artisan factories that brought the city of Gragnano (Italy) to become famous throughout the world for its pasta. Still today, in the era of modern technologies, Gentile preserves methods of craftsmanship and attention to every single detail, from the raw materials selection to the production phases control. The Zampino family is committed every day, with passion and dedication, to convey in the company’s products the spirit of tradition, the value of authenticity and the rediscovery of the food excellence that is at the basis of the carefully selected raw materials. Who better than a Customer can guarantee the reliability of a supplier? Please find below the satisfactory report of Alberto Zampino, top manager of Pastificio Gentile, who relied on Storci to guarantee his customers a high quality product. 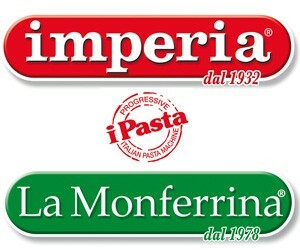 Mr. Alberto Zampino, how important is the choice of the wheat for the production of a high quality pasta such as yours? Excellent ingredients are essential for any food preparation, both domestic and industrial. The choice of the wheat, that must be absolutely Italian, selected and controlled in any phase of its production, was one of our main starting priorities. 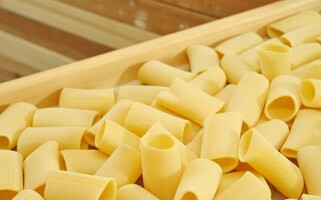 Today we know that it was the right choice, the taste of our pasta is appreciated all over the world and one of its unique characteristics is the very high quality of the wheat. What about the technology? Which benefits did you get choosing Storci lines? Combining technology and craftsmanship made us look to the future paying a specific attention to the tradition which is an important part of our history. 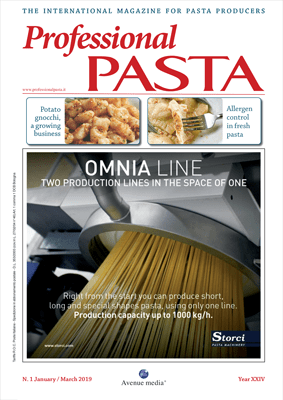 By Storci lines we can produce a bronze-drawn pasta, flawless and ready for a slow drying according to the Cirillo method, as it used to be in the past. Is it right declaring that the craftsmanship of your production is essential for you to get an excellent product? Craftsmanship is the word that mainly represents our pasta and is basically our philosophy for the production of all shapes of pasta . We believe that it is important to pass on the passion and the care of each phase of the production, from the dough to the final product which will be in the kitchens of the consumers. 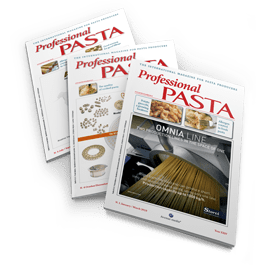 We want to point out the history and the excellence that have made the “Pasta di Gragnano” IGP (Protected Denomination of Origin) well known in the world. What are your projects for a future studded with great achievements? First of all our most important goal is to keep on working with the same enthusiasm and dedication that are the reasons for receiving so many awards and appreciations from the consumers and people working in this sector. As we look forward, we expect to continue to invest in technology and machinery which produce high quality pasta, and which enhance the heart and soul which we put into our work every day. 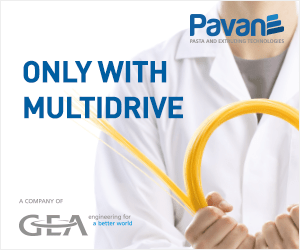 There are many projects in progress that we are going to unveil during the year 2016.